HomeBlogHome DecorWaves Bookcase by Arco da Velha. 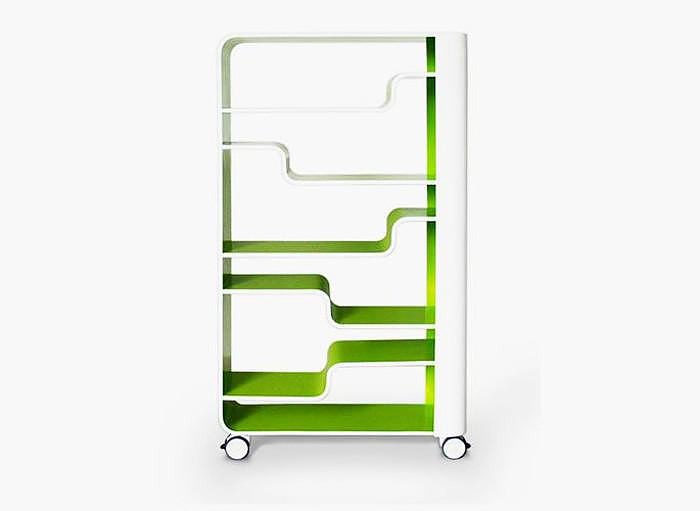 Waves is a contemporary bookcase by Portuguese firm Arco da Velha, it combines stylish design with enhanced practicality and comes with its own set of casters for increased mobility. 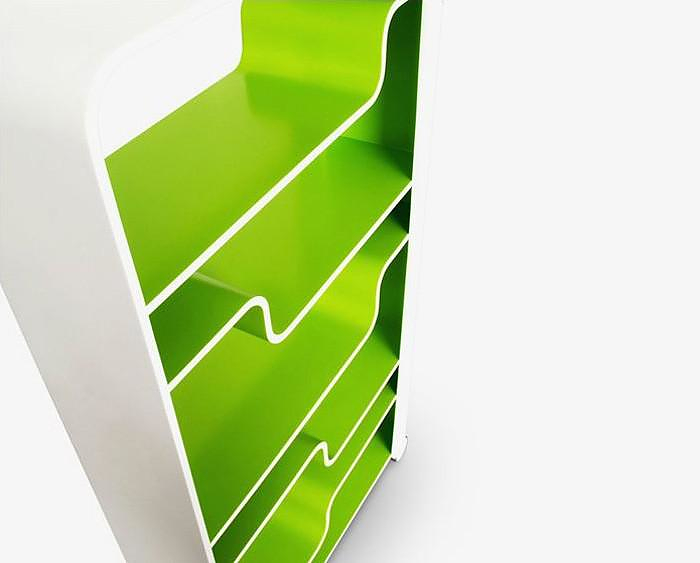 The Waves Bookcase features a set of asymmetric shelves made of bent wood, while its funky Green/White color combination adds an additional modern touch. 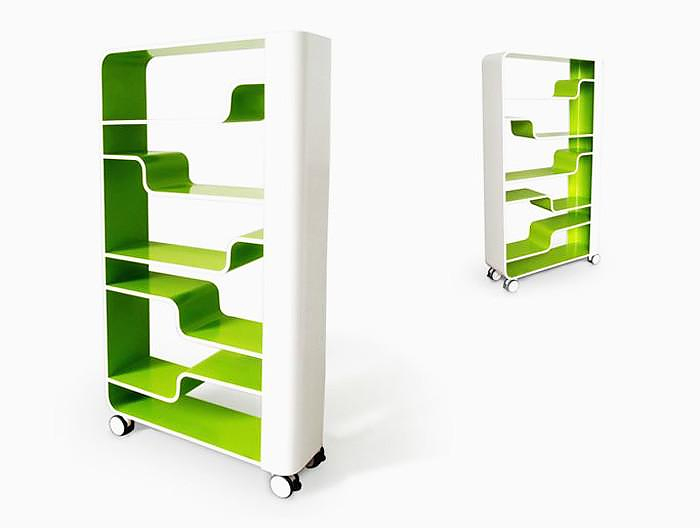 The irregular shape of the shelves allows you to store books and other objects of different sizes, while making optimal use of the available storage space. It comes with its own set of casters, which allow the bookcase to be moved around with incredible ease. The casters are equipped with a proper breaking system in case you want to park the Waves in specific spot. The Waves Bookcase is an extremely flexible piece of furniture ideal as an office storage unit, or a mobile bookshelf for any modern living space.